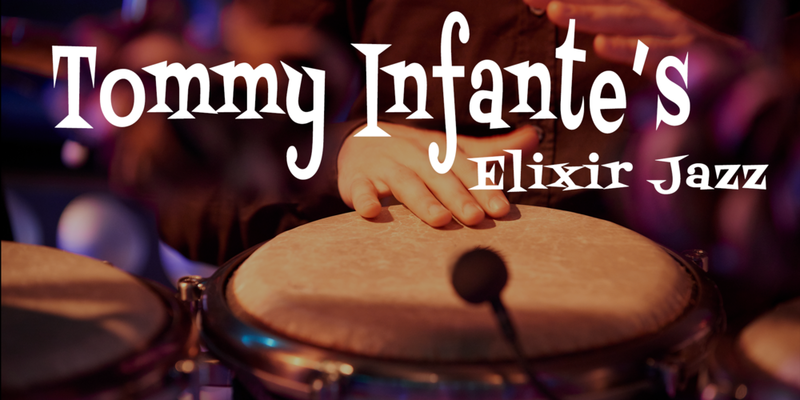 Band leader Tommy Fante leads his band Elixir Latin Jazz on a musical tour of the greatest songs from the Afro-Cuban, Bossa Nova, and Jazz Samba songbook. Tommy spent the last 50 years touring with his big band throughout Cuba and Latin America and now Knoxville is lucky to count him as one of their own. You don't want to miss Tommy and his band of Knoxville jazz all stars for a great evening of Latin jazz. Band members include Sam Adams Robert Dean and Allen Halcomb.